Why not SA as hosts of RWC 2023? Cape Town - Springbok legend Percy Montgomery says South Africa’s hosting the 2023 Rugby World Cup would be the equal of what it meant to New Zealand in 2011. Montgomery, the first Springbok Test centurion, is a proud ambassador to everything Springbok rugby, especially the prospect of South Africa hosting the 2023 World Cup. ‘It would be so big for our country and for rugby in this country. I experienced what it meant to New Zealand in 2011 to host the World Cup. There was so much emotion because it was the first time since 1987 that the World Cup was in New Zealand,’ says Montgomery. 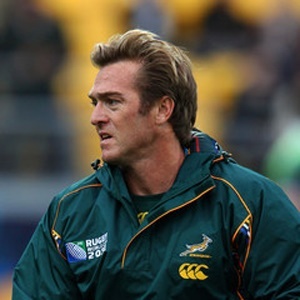 Montgomery kicked the Springboks to the 2007 World Cup title and his goalkicking was also instrumental in the Springboks beating the All Blacks to claim bronze in 1999. But it’s the memory of the 1995 World Cup that Montgomery revisits whenever he needs inspiration. ‘It was just incredible to experience 1995 when I did. I was loving my rugby and playing for Western Province u21 and loving every moment of being a youngster privileged to be playing the sport he loved. Then the world came to South Africa and everyone was talking rugby and South Africa. ‘It was just a wonderful thing to experience in one’s own country, especially as a supporter. ‘The Boks beat Australia, who were the defending champions, at Newlands in the opening game and England won dramatically in the quarter-final against Australia with a drop goal from Rob Andrew … and of course there was the four-try Jonah Lomu show against England in the Newlands semi-final,’ says Montgomery. Montgomery, two years later ,would be playing alongside many of the World Cup winning Springboks and 12 years later would also be a World Cup winner but he said the influence of 1995 was not exclusive to his Springbok playing ambitions. Montgomery, who played 102 Tests, is also the Springboks’ leading points-scorer and the man to have scored the most points for the Springboks in World Cup history. He kicked four penalties in the Springboks 15-6 win against England in the 2007 World Cup final and played the last 45 minutes of the final with torn knee ligaments.